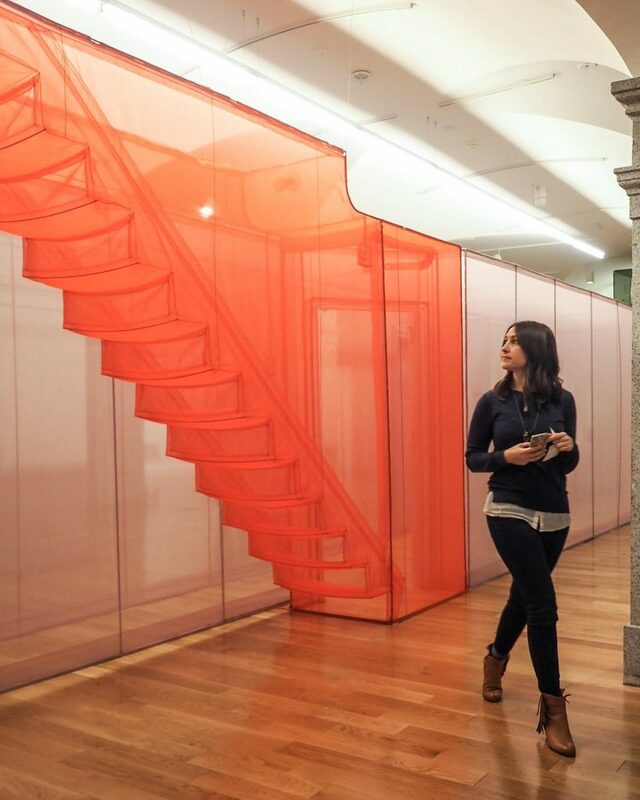 IGDC has been fortunate to collaborate with Smithsonian American Art Museum on two of their recent, and very instagrammable, exhibition openings: “Do Ho Suh: Almost Home” and “No Spectators: The Art of Burning Man”. Check out information for both exhibitions and some of our favorite images from the events below. Do Ho Suh’s immersive architectural installations, or “fabric architecture” sculptures, explore the global nature of contemporary identity as well as memory, migration, and our ideas of home. Do Ho Suh: Almost Home at Smithsonian American Art Museum is the first major exhibition of the artist’s work on the East Coast. It features large-scale installations of the artist’s brightly hued “Hub” sculptures—intricately detailed, hand-sewn fabric recreations of homes where Suh has lived from around the world—along with several drawings and a series of semi-transparent replicas of household objects called “Specimens.” The Hubs comprise a series of conjoined rooms and passageways that visitors can enter and experience from the inside, including a new work depicting the artist’s childhood home in Seoul that will debut in the exhibition. It’s a visual treat to experience and the translucent, colorful fabric provides a beautiful dimension to photographs. At Renwick Gallery, No Spectators: The Art of Burning Man, curated by Nora Atkinson, does a great job giving viewers a sense of what it’s like to interact with the festival’s art. 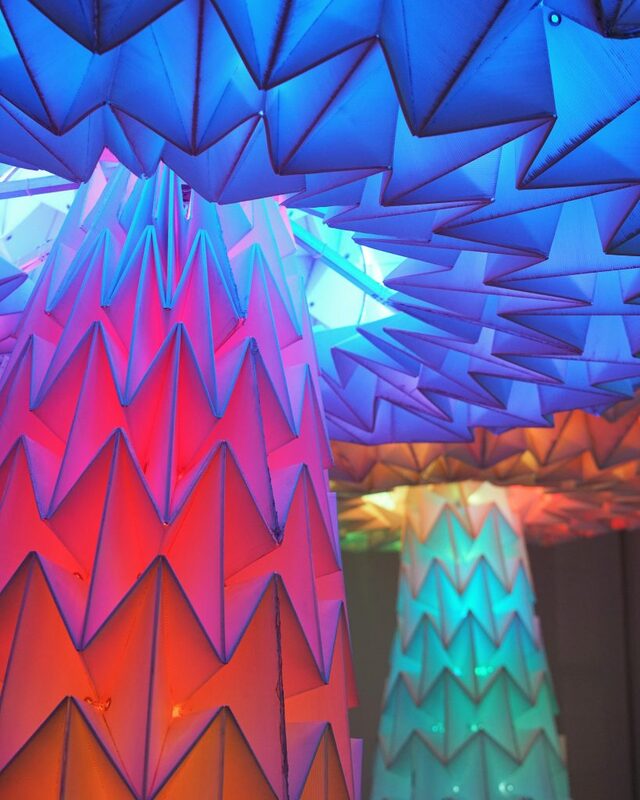 One room features Shrumen Lumen (2016) by the FoldHaus Art Collective, three colorful giant mushroom sculptures made of corrugated plastic. At the base of each mushroom is a pad that users can stand on, which cause the sculpture to expand and contract. Another room features a series of steel sculptures by Hybycozo, which are lit from the inside with LEDs, creating intricate shadows and patterns around the walls. Many works are grand in scale, but there are smaller pieces too, as well as some interactive pieces where you can explore the playa while wearing a Virtual Reality headset. There is much to see and take in, you might have to go back a couple times to experience it all. quis amet, ut vulputate, et, non eleifend Praesent ut ante.